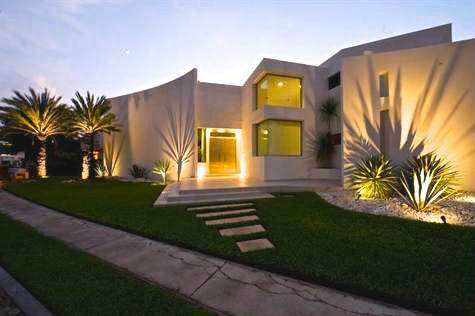 What could be more tempting than owning a second home at “El Faro”, in Playa del Carmen. When you step out on your private terrace and marvel at the magnificent views or the gardens, pearly white sand beach and turquoise Caribbean Sea, you’ll realize that you’re now a part of this world class oceanfront resort. El Faro Condo-Hotel gives you as owner the unique opportunity of experiencing the well sung beauties of the Caribbean coastline in an atmosphere of refinement and comfort. El Faro refined ocean front living in paradise next to the graceful lighthouse that borders the northern edge of its beachfront location. 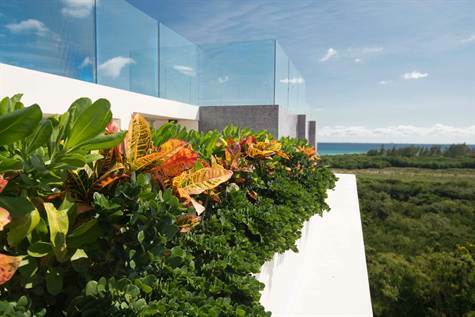 Independent terrace with spectacular views offer a supreme balance of space and beauty. 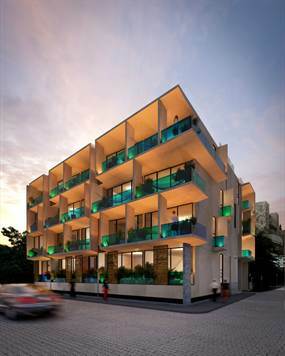 These 65 condo project provide the cozyness of home with the convenience of a luxury hotel. The condo complex provides 24/7 security service. 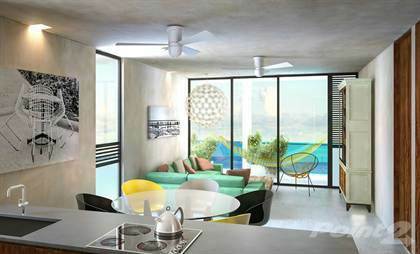 Unit 304 Reef is located on the 3rd floor of El faro and offers 118.31 Sq Meter of Space. 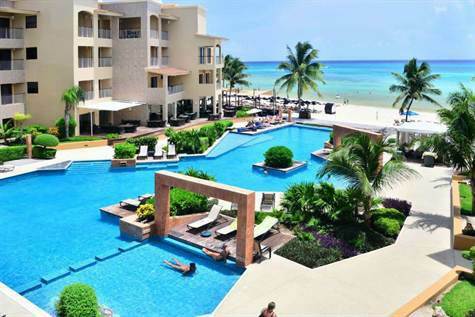 The two bedroom and 2 bathrooms condo is well appointed with all modern amenities needed for a luxury vacation property. 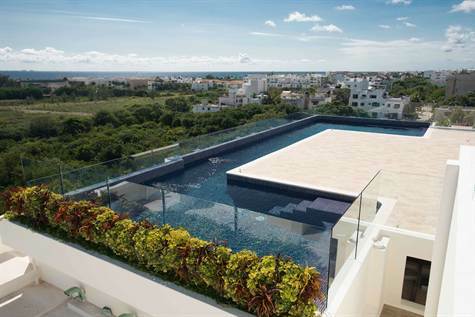 The amazing views from this particular unit offer great views to the ocean and pools at El Faro. 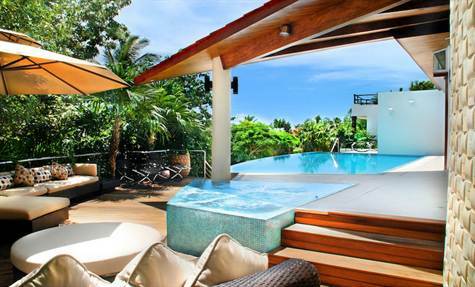 The perfect location as vacation home or income producing vacation rental. Unit 304 comes completely turn key and ready to move in. Recently built in 2011, this House defines the concept of state of the art technology, with its filtered circulating air system, automated doors, black out curtains, armored and sound proof glass doors and windows; automated lighting, sound, video and security systems. The infinity pool uses no chemicals, and has a “swim against the current” system. The large Jacuzzi in the pool area can fit up to 9 people. 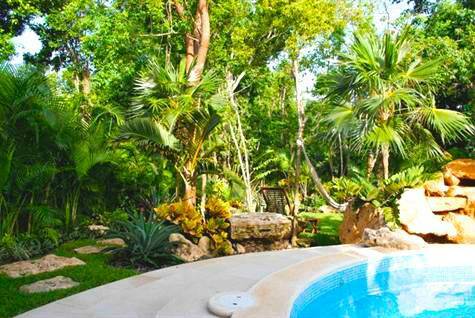 You easily fall in love with the villa’s lush garden and jungle surroundings, but at the same time, the Caribbean Beaches are just a few steps away and the buzzing Night Life of Playa del Carmen is in walking distance as well. 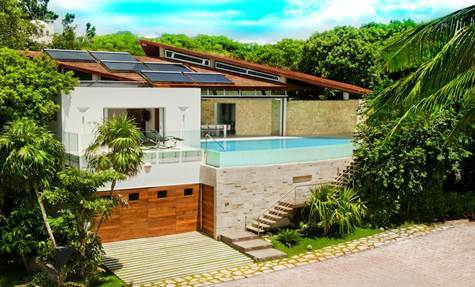 A beautiful property, private, exclusive and has the most amazing tropical surroundings that anyone could ever wish for. This custom designed top quality home with attention to detail has double high ceilings in the entrance and living/dining mid section with 3 bovedas incorporated in the construction. Three bedrooms and three bathrooms on the 2nd floor. The ground floors and bathroom counters are of marble, the kitchen counters are granite, the top floors are all caoba tropical hardwood. All the windows and doors are hurricane proof 12mm glass with the protective film. A complete 1 bedroom basement apartment with a full kitchen and living room. Maids quarters also with kitchenette and bathroom. A 1 car basement garage with a proper storm drainage system. Hydro-massage showers and Jacuzzi 4 mini-split air conditioners state if the art water softener and filtration system. There is access to a tennis court in the back yard and a short walk to the community pool and the pristine Carribbean beach a short stroll away.Extra advantages to living in Playacar is that you are less than 1 mile from the private Playacar beach of soft white sands and turquoise Caribbean blue waters and you have use of the community tennis court, and the Reef Hotel Beach Club access. Also a bike/running path throught Playacar and an 18 hole golf course.